Air New Zealand, Virgin Australia, and Air Tahiti are the three international airlines that fly to the Cook Islands. Air New Zealand has direct flights out of Sydney and Los Angeles once a week. With not a traffic light to be seen, getting around Rarotonga can be a casual meander on the island bus – which uniquely travels both clockwise and anticlockwise around the road that circles the island and obliging drivers will pick and drop at will. Or the plethora of scooters which are synonymous with the town – where wheels are weighted down by mamma or papa and sometimes more than one chubby toddler clinging on for dear life. Whichever way you go – villages, beaches, paw patches, and fields of taro, mango, bananas and the health filled noni can be spotted on either side – providing an instant study of island life. Of course you can also take an intrepid tour with the legendary Pa up into the hinterland and the hills to explore the lush rain forest and hear legends of wars, weddings, love affairs and animosities along with tales which stretch the imagination into a forgotten world. An extraordinary array of flora and fauna flourishes. The 15 Cook Islands are scattered across the South Pacific over 2 million square kilometers, and lie halfway between New Zealand and Hawaii. 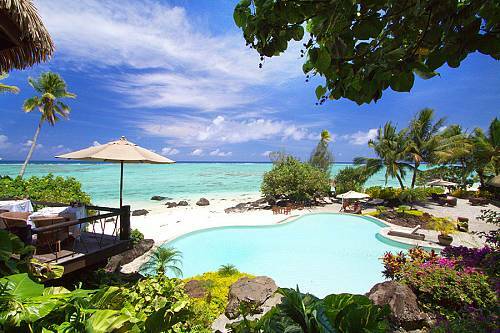 Rarotonga is the capital of Cook Islands and has lush volcanic peaks, surrounded by palm fringed blue lagoons. 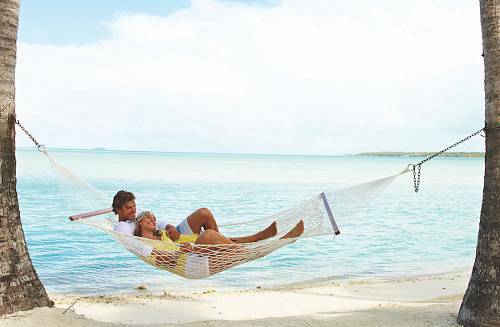 Aitutaki, also known as ‘Honeymoon Island’ has a stunning lagoon and is perfect for relaxation. 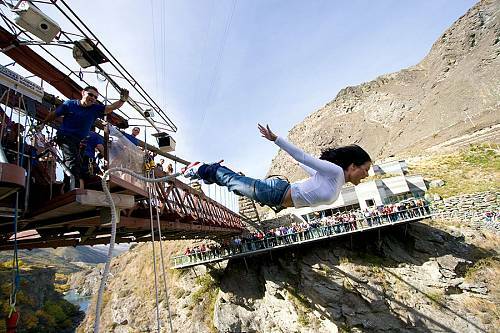 Popular activities include whale watching, hiking, snorkeling/diving, and deep sea fishing. The Cook Islands are a great destination spot for whale watching. Humpback Whales migrate to the Cook Islands during the months of July through October in search of warmer water. 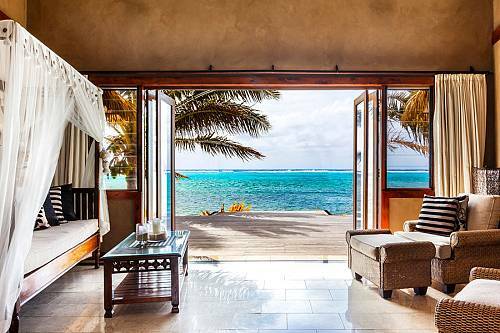 On the Island of Rarotonga some of the best on shore whale watching spots are The Paradise Inn, The Fishing Club, Trader Jacks, and The Edgewater Resort. Water activities include deep sea fishing, kayaking, snorkeling, and diving. The Cook Islands are known for their beautiful beaches, warm weather, and their hospitality and friendly culture. When traveling to the Cook Islands there are plenty of places to stay; hotels and resorts, holiday homes, guest homes, bed and breakfast, villas, as well as hostels. Most of the island resorts will serve Breakfast/Lunch/Dinner. On the busier islands like Rarotonga you can venture out and find dining on the island. The Cook Islands has a very relaxed environment. You can dress casual, but when you are not on the beach you should wear a cover up over your bathing suits. Cook Islands Maori (or Rarotongan) is the main language, although most people speak English as well. While New Zealand dollars are used in the Cook Islands, they do have native currency as well. The 3 dollar bill is a tourist favorite. Cook Islands money, whether coins or notes, cannot be changed anywhere else in the world, so be sure to either spend it or exchange it before you leave the country. ATM’s are conveniently located around Rarotonga and Aitutaki and EFTPOS is available at some hotels and stores. Western Union has an office in Avarua offering money exchange and transfers. When you come to the Cook Islands, a valid passport and a return ticket will allow you a stay of up to 31 days, but this is currently under review in order to allow visitors the choice of staying up to six months at a time. In the meantime, extensions are granted on a monthly basis – for up to five months. Remember to apply two weeks before your visa expires. All vaccinations should be up to date, and typhoid, hepatitis A & B vaccinations are recommended. Tipping is contrary to Cook Island customs. 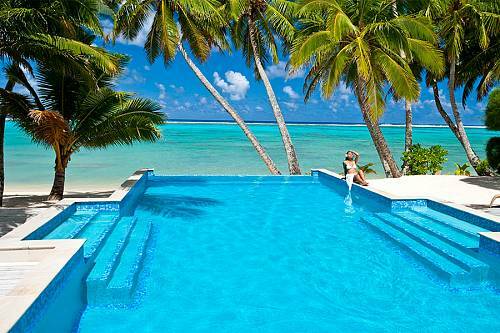 The Cook Islands enjoy a pleasantly warm and sunny climate all year round. June to August are the cooler months, while November to March marks the warmer season, with occasional tropical showers expected. It is also known as cyclone season – something to be aware of although not necessarily a deterrent as they are not a regular occurrence. The drier months, from April to November, have an average of about 78°F, whilst the warmer, more humid and damp season runs from December to March. During this season the temperature ranges between 71°F (min) and 86°F (max). Severe weather is rare and infrequent. Electrical sockets (outlets) in the Cook Islands are the same as Australia and New Zealand 240 Volt type. If your plug doesn’t match the shape of these sockets, you will need a travel plug adapter in order to plug in your electronics. Travel plug adapters simply change the shape of your appliance’s plug to match whatever type of socket you need to plug into. Brookstone and other travel stores carry these adapters. 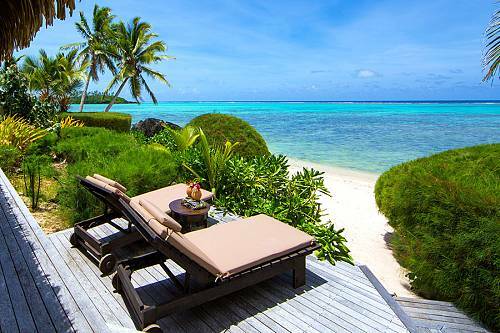 Spend a week in paradise on this Cook Islands honeymoon. 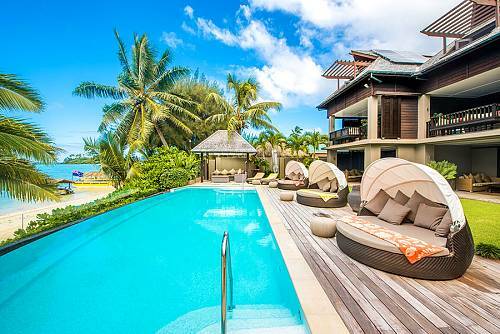 Feel like royalty in your own luxury villa with lagoon access and a private swimming pool. The honeymoon bonus includes 2 heavenly massages, free scooter hire, and more. 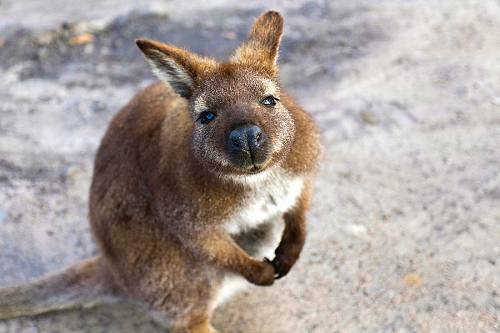 Heading to Australia or New Zealand? Add a stopover in the idyllic Cook Islands and set your clock to island time! 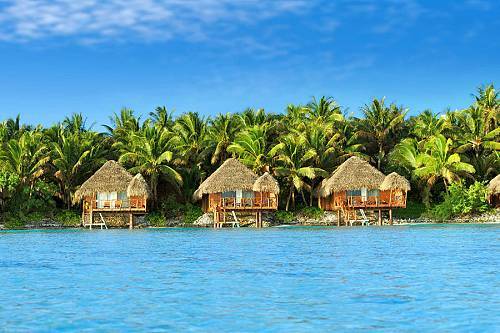 Spend 6 nights at the stunning Little Polynesian Resort—your own little slice of paradise. Enjoy 5 nights in paradise at a luxurious Cook Islands beach resort overlooking a magnificent lagoon. This stopover offers the utmost luxury and privacy in a gorgeous island setting—the perfect add-on to an Australia or New Zealand vacation. Escape to a tropical island paradise, with pristine beaches, unbelievably blue waters, lush tropical forests, and authentic Polynesian hospitality. Stay in an overwater bungalow over the world’s most breathtaking lagoon.